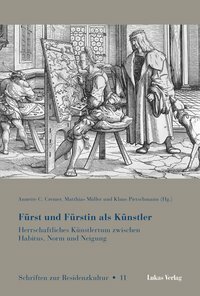 The anthology Stil als Bedeutung, with thirteen constituent articles, is an important contribution to the study of systems of meaning - historical and art historical - in early modern art. The authors investigate the use of style as a critical term in varied ways, some more theoretical than others. Herein lies its strength: the refining of terms of discussion. I specify some of the principal findings below. 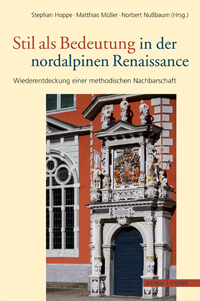 Stephan Hoppe's fundamental piece on early modern architectural style begins with a critical assessment of notions of artistic style in historical writing. 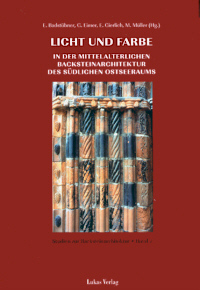 He notes the insufficiency of traditional stylistic markers to account for architectural developments in central Europe during the early modern period. Considering the views of critics such as Georg Simmel, Svetlana Alpers, and Robert Suckale to those of writers from more recent years, Hoppe embarks on a discussion of the intensely subjective character of stylistic concepts. He distinguishes between an object- or "derivation-based" concept of style and a "meaning-oriented" definition. To this end he imports Clifford Geertz's distinction between "thin" and "thick description" [an interesting inflection on Panofsky's ultimate level of iconological analysis]. Hoppe ends with a discussion of two architectural elements: the round gables on the Domkirche in Halle and the vegetal or Astwerk portal to the Schlosskirche in Chemnitz. Both devices are related to extensive cultural traditions that defy simple period designations. Heiner Borggrefe, too, examines style-related phenomena in the arts of the early modern period, yet his interests are also of a more general methodological bent. Questioning the earlier definitions of style provided by Meyer Shapiro and others, Borggrefe emphasizes the role of social interest in these investigations and traces their various incarnations in philosophy and the social sciences over the past several decades. He notes, for instance, that the notion of habitus, a key concept in the writings of Thomas Aquinas, undergoes an important transformation in Panofsky's study of Gothic architecture, where it is reconstructed as a "habit of mind," and then in the work of Pierre Bourdieu, who famously depersonalizes it a socially-formed habit or tendency. Ideas of agency, ideology, and contextualization are at issue. For Ulrich Fürst, the essential question is the nature of meaning in architecture that results from the different categories imposed on it. 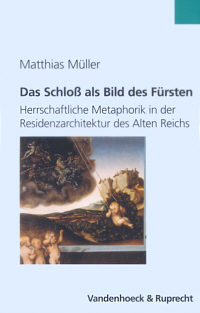 Fürst investigates the relevance of decorum; the classical orders and Vitruvian commentaries in Säulenbücher first occupy him, though he soon turns to building types as determining categories. He studies the different ways of classifying buildings and the resultant changes in meaning accruing to each system. Hermann Hipp's essay is initially more focused, limited to the appreciation of Gothic forms in sixteenth- and seventeenth-century architecture. Hipp expands on his dissertation of 1973 in discussing the phenomenon of post-Gothic or Nachgotik in the German-speaking lands of the Holy Roman Empire. This apparently unsystematic application of Gothic elements - traceried windows, ribbed vaults, pointed arches, etc. - should be understood neither in terms of nineteenth-century historicizing eclecticism nor as a thoughtless continuation of a traditional manner of building. Post-Gothic lacks the geometrically consistent design of Gothic. Rib vaults are supported by members drawn from the classical orders. Yet Gothic elements such as traceried windows are intentionally used to supply an aspect of "churchiness;" they are openly designated as kirchisch in contemporary sources. They have become elements in a semantic system rather than a formal one, neither organic nor genetic. These observations lead into an extended discussion of the concept of style among the Hamburg circle of Panofsky and Cassirer. German painting style around 1500, particularly that of the Danube landscape artists, is discussed by Edgar Bierende, who relates the rough and simple touch of these pictures to a conscious appreciation of classical rhetoric. Particularly, Cicero's praise of old-fashioned manners of writing in these terms is taken as an inspiration for painters associated with Germany's early humanist circle. This painterly turn is seen as partly a nationalist retort to the dismissal of German culture in ancient authorities like Tacitus and is postulated as part of a general consciousness of painterly style among patrons and connoisseurs, notably with respect to the Netherlandish painting of van Eyck and his ilk and the newest pictures arising in Venice and northern Italy. Bierende's argument meshes nicely with Hoppe's discussion of the humanist context of Astwerk on the portal of the Schlosskirche at Chemnitz. Matthias Müller likewise resorts to German humanist discourse in analyzing Cranach's Sleeping Nymph in Leipzig. Weighing obvious and subtle reliance on Venetian pictures of Venus and beautiful anonymous women, Müller treats the sensually seductive aspect of Cranach's panel as a historically relevant category of reception. He further relates the Sleeping Nymph to descriptions of pagan Germany in chronicles written at the Saxon court, drawing from them a monitory quality also applicable to Cranach's painting. Indeed, he considers Cranach's Nymph to anticipate certain Protestant attitudes. Retrospective tendencies in architecture are the theme of Ian Campbell's essay on early modern building in Scotland and Ireland. Noting the recurrence of Romanesque motifs in the religious structures of these two lands during the later fourteenth and fifteenth centuries, often accompanied by more contemporary Gothic features, he casts this "stylistic inconsistency" as a mark of nationalist enterprise. He thus revives similar claims made by nineteenth-century historians of Scotland, placing them in a wider European context. He notes that recent scholars have suggested that Brunelleschi's reliance on local Romanesque features were part of a Tuscan nationalist program. Campbell thus engages in a discussion to which Howard Burns, Stephan Hoppe, Christopher Wood, and others have contributed. Ariane Mensger investigates the notion of style and stylistic pluralism in the work of Jan Gossaert, Netherlandish court painter at the beginning of the sixteenth century. She discusses the concurrent development of a late Gothic and an antique manner in Gossaert's art and contemporary Netherlandish culture. Her tendency to equate figural and architectural canons, to relate the recovery of Eyckian and Rogierian figure types to the survival and development of flamboyant architectural forms, however, is questionable. These often conflicting ideas of mode and style are further discussed by Krista De Jonge in her article on the Gothic and antique in early modern Netherlandish architecture. De Jonge opposes the notion of period style, noting that both Gothic and antique designs were appreciated for several decades in the Netherlands of the sixteenth century. "Manner" (manier) is the term most often used by contemporaries to describe variants of local practice. A studied richness in ornamental detail was generally desired in both Gothic and antique works before the publication of Pieter Coecke van Aelst's Serlian and Vitruvian treatises. And much building defied clean notions of either Gothic or antique. There seem certain constants in Netherlandish building that transcend time-bound categories. One might speak, De Jonge suggests, of a Renaissance variant of a Netherlandish manner rather than of a Netherlandish species of Renaissance design. The meaning of the term "welsch" or Italianate style is examined by Nicole Riegel in the context of Schloss Wellenburg near Augsburg. The importance of the patronage of the Emperor Maximilian and Cardinal Matthäus Lang is taken into account, given their extensive contact with Italy. The "triumphal style" is the subject of Isabella Kirgus's essay, a study of Germany's engagement with Renaissance architectural forms. Her focus is the porch to Cologne's town hall, built by Wilhelm Vernucken in 1573 though based on a series of earlier Netherlandish projects. Kirgus examines the relation to ancient Roman architecture, particularly the expected triumphal arches. She analyzes the iconographical sources of its sculptural appointments, which she integrates with the "triumphal style" of the monument. There follows a discussion of ephemeral triumphal arches in European civic entries and their formal and political relation to the Cologne porch - leading to a nuanced appreciation of this test case of the reception of antique forms in northern Europe. An essay by Konrad Ottenheym rounds out the volume, treating a series of palaces in the province of Utrecht in what seems at first either an up-to-date or outmoded style. The rejection of the Palladian portico, so common in the western provinces, for prominent towers is seen as a reference to the local medieval tradition as a way of distinguishing the residences of the old nobility from those of the nouveau riche and newly ennobled patriciate. Ottenheym sees social position signaled in this binary system of new and old architectural features. Stil als Bedeutung represents a number of approaches and nominal subjects - though all deal with the value of "style" in some sense and considerably advance art historical treatment of this term. The collection of essays is a significant contribution to the discussion of northern European art of the Renaissance.